A good gaming Tablet PC.. Ever since Tablet PCs have started using quad core processors, it’s become a sorta competition amongst all the Tablet PC manufacturers, including Newsmy, to come front and actually secure a position in the quad core Tab segment. And today, Newsmy does it yet again. After the launch of various previous quad core models, the makers launch Newsmy S8 mini. More than it being in the news for its processor, the Tab is being talked about its ultra thin built which is as sleek as 7.2mm. Let’s now learn more about the Newsmy S8 Tablet quickly! 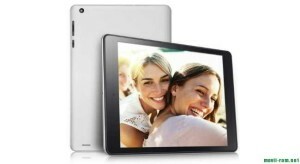 1) Newsmy S8 mini is a 7.9 inch Tablet PC(HD LCD) which is operated by the latest Android system, the Jelly Bean (v4.2). 2) Because of the dynamic linear design of the Tablet, the tablet is just 7.2mm thick. Having said that, the thinnest part of this Tablet PC is even 4.4mm. 3) The processor of the Tablet PC is a dual core ARM Cortex A9 RK3188, where the CPU is clocked @1.6GHz. 4) The S8 mini is loaded with high performance quad core GPU, which is Mali 400MP and 2GB RAM. Combining the power of both, 3D gaming is a delightful experience on this very Tablet PC. 5) 28nm manufacturing technique: This technique is a top class technique which enables a Tab for comparably less power consumption and also enhances the performance by more than 50% of what is there in the normal scenarios. 6) The Newsmy has a new feature which is not very common yet. It even supports 4G network, but via external Internet dongles only. As per the company claims, the download can see numbers up to 100Mbps and uploads up to 20Mbps. 7) All sorts of known sensors in a Tablet PC are installed in the Newsmy S8 mini. For example: GPS, Accelerometer, Barometer, Fingerprint ID etc. 8) This Tab comes with Dual Camera. The front camera is 2MP and the other is 5MP. 9) Internal storage is 2GB with the mechanism to extend it to 32GB, using an external memory card. All in all, it is a good gaming Tablet PC. There is no official confirmation on the pricing, what this tablet will be seeing. We will update this space with the same, very soon! Surf and check about various other Tablet PCs awaiting a release. Click here to read more.